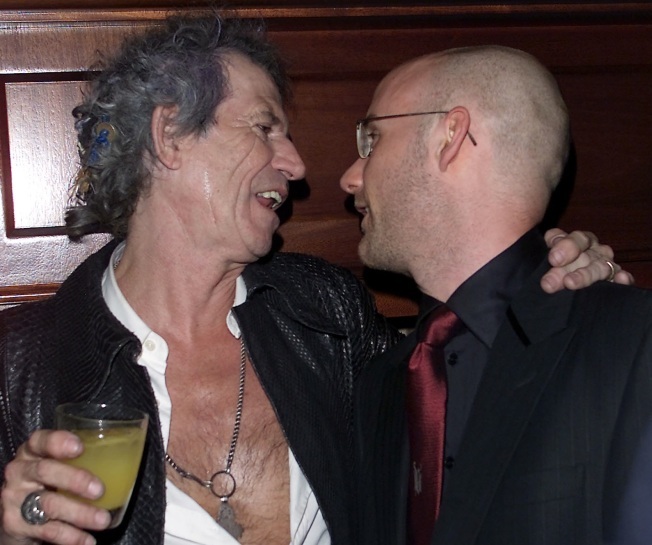 Who knew Keith Richards and Moby were kindred spirits? The emo-electronica spawn of Melvilletells Black Book he likes his drink, especially "Sunday, Monday and Tuesday." And he seemed so quiet and unassuming; what with the Buddy Holly-glasses, save-the-animals spiel, veganism, and the feyly titled teashop, Teany. So, Moby has a new remix album coming out ... (oh, I'm sorry, were you talking? I fell asleep) ... Black Book's Ben Barma goes through the motions and then gets to the point. What we really want to know, the meat of the issue, so to speak is that the frail, bespeckeled, aging vegan is a raging alcoholic. And he rhapsodizes about drinking, getting wasted, going out, how cocaine helps him to drink more, getting blackout drunk at Beatrice Inn, and wanting to shoot himself in the face because someone brought him to Marquee.